Wendell Hill Hall serves as a gateway from the residential Northeast Neighborhood of campus, to the East (performing arts) and Central (academics) Neighborhoods. The two modern buildings highlight a courtyard that serves as a pass through while a retail component on the ground floor of the buildings encourages students to stop and gather. 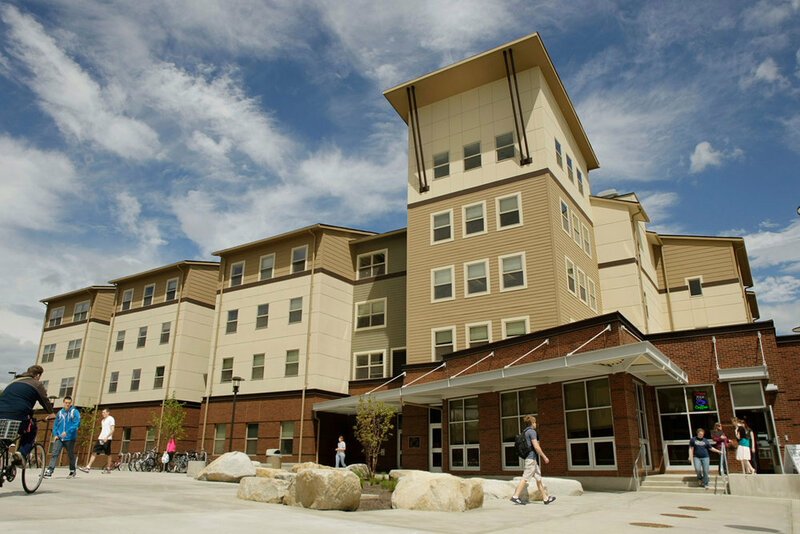 The buildings offer a mix of 156 units, designed to appeal to a variety of students and to compete with off-campus privately developed housing. Types of residences include traditional double room units surrounding a private bathroom, as well as single and double bedroom units with shared living spaces and small kitchenettes. 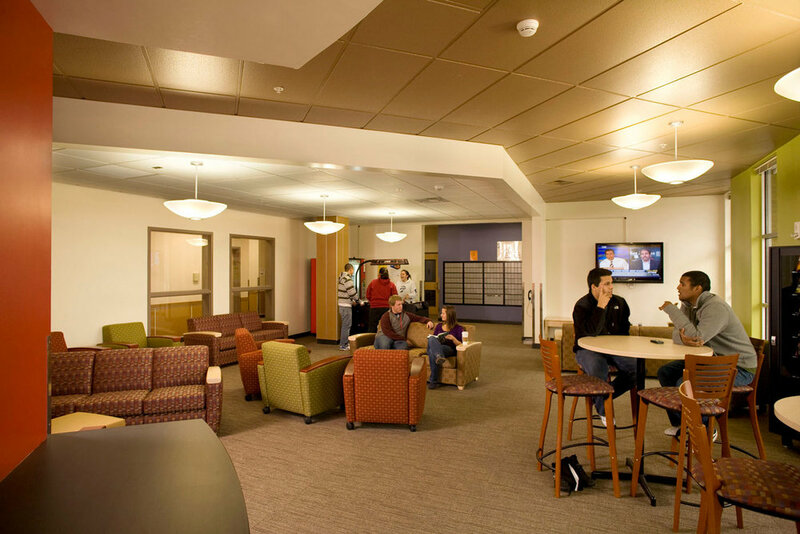 Informal interaction is encouraged via commons with large kitchens and multi-purpose rooms. A coffee shop provides additional gathering space. The project is all wood frame construction, and was designed and constructed in just 27 months, utilizing framing that was pre-fabricated off-site to reduce construction time. Walls were constructed while the foundations and slabs were being formed so they were ready for installation immediately after the concrete was poured and reached the necessary cure.